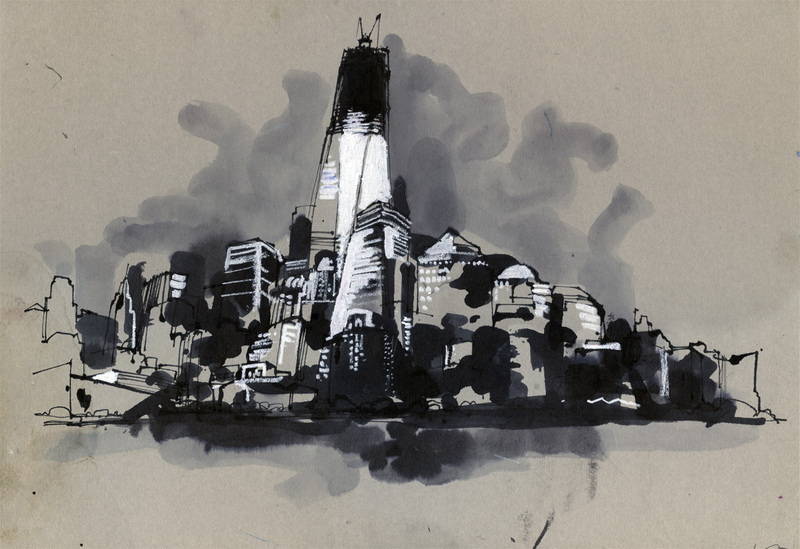 Had a chance to head out to the waterfront yesterday to do a few drawings of the Freedom Tower. 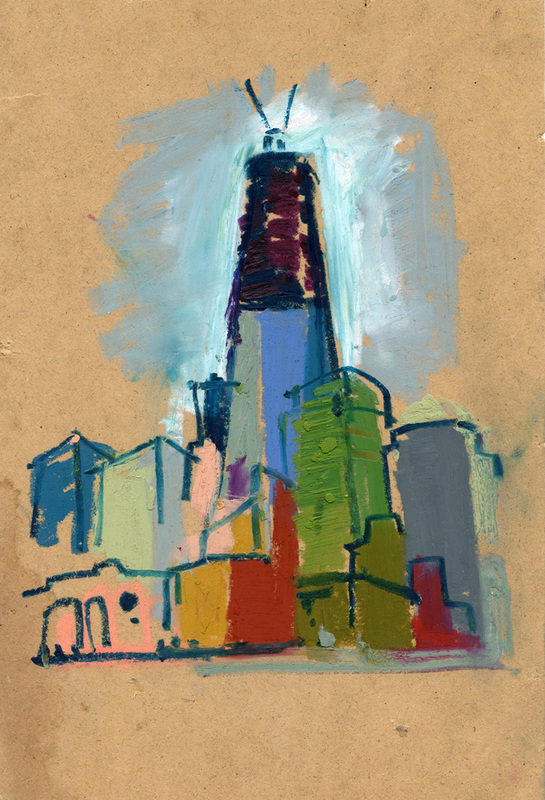 It is a towering building, and one I suspect will help to fill the void in lower Manhattan. Here are two very different drawings of the construction. Here are a few drawings I made in 2010 of the early stages of the rebuilding.